NNLM Wikipedia FALL Edit-a-thon Editors and Call for Volunteers! Are you interested in improving the consumer health information available on Wikipedia? 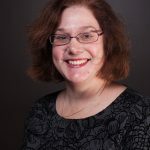 Do you want to utilize your librarian research skills towards making Wikipedia a better, evidence-based resource? Have you always wanted to participate in an edit-a-thon? 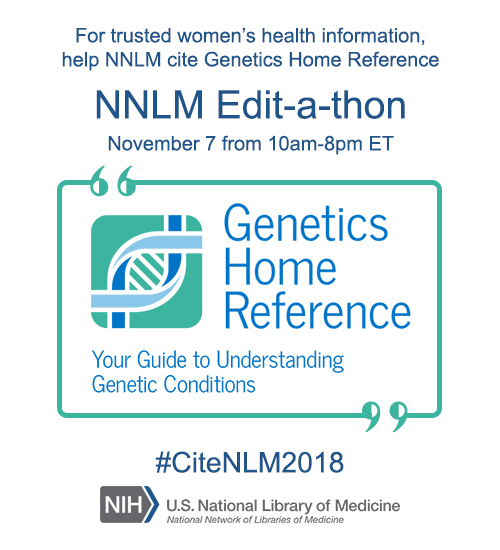 Join the National Network of Libraries of Medicine on November 7, 2018 as we add citations to existing Wikipedia articles on women’s health using trusted National Library of Medicine resources like Genetics Home Reference, MedlinePlus, and PubMed. We’re working hard to make our Fall edit-a-thon even more of a success than the April one. To achieve this goal we are inviting more librarians to join our Wikipedia Help Team. Please note: you must create a Wikipedia user account prior to the event to be able to participate. Participants are encouraged to register in order to receive a copy of the training recordings. NNLM staff from across the nation will be available Wednesday, November 7th from 10 am to 8 pm ET to support you as you add your citations. Check out nnlm.gov/wiki and follow along with the fun on Twitter–check for hashtag #citeNLM2018(link is external)!